Easter has always been one of my favorite holidays. When I’ve talked with my oldest Italian cousins about Easter traditions during their childhood, when my grandparents were still alive, several mentioned that on Easter morning there was fresh baked yeast bread studded with raisins and toasted for their Easter breakfast. It was a special treat they only had once a year and they loved it. 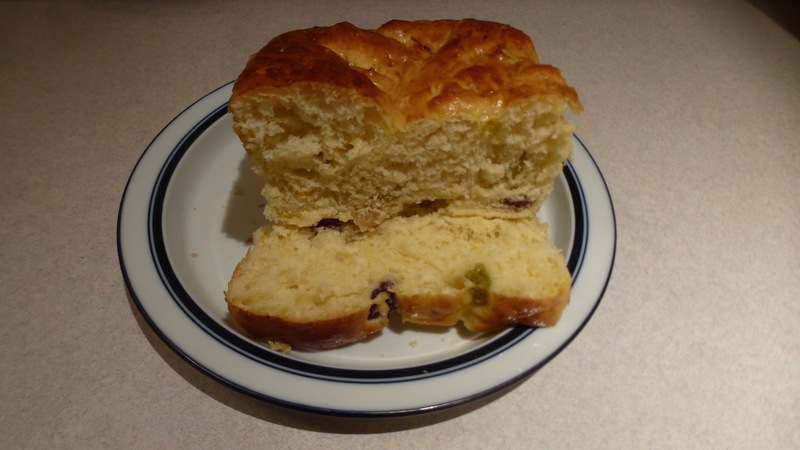 No one ever wrote down the recipe, but my cousin Connie recalls that this Hungarian babka recipe, given to her by a Hungarian co-worker more than 70 years ago, comes very close to the Easter raisin bread of their childhood. I’ve adapted the recipe by adding some dried cherries along with golden raisins. The key to a moist babka is not using too much flour. The dough should be very sticky. Note: This is not a rolled and filled babka, but more like a simple coffee cake studded with dried fruit. In a small bowl whisk together warm milk, yeast, and pinch of sugar. Set aside for five minutes until foamy. In a mixing bowl combine 2/3 cup sugar with melted butter, eggs, orange zest, vanilla, and salt. Mix well. Add yeast mixture. Add flour 1 cup at a time. If the dough is excessively sticky add 2 more tablespoons flour. It will still be sticky, just beyond a batter. Mix in raisins and dried cherries. Cover the bowl tightly with plastic wrap. Let rise in a warm place for 2 hours until doubled. Grease 3 bread pans. Divide risen dough equally between the pans. Cover with a clean tea towel and let bread rise 45 minutes to 1 hour. 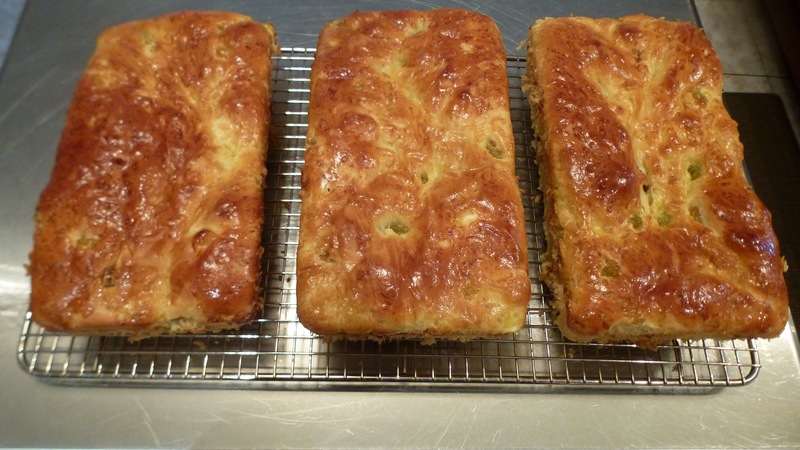 Beat together the egg wash and brush over the tops of each babka. Bake at 350 degrees 20-25 minutes, rotating the pans halfway through baking, until the top is golden and an inserted toothpick comes out clean. Makes 3 loaves. This entry was posted in Breads, Breakfast, Christmas, Easter. Bookmark the permalink.